Product prices and availability are accurate as of 2019-04-20 03:15:47 UTC and are subject to change. Any price and availability information displayed on http://www.amazon.com/ at the time of purchase will apply to the purchase of this product. 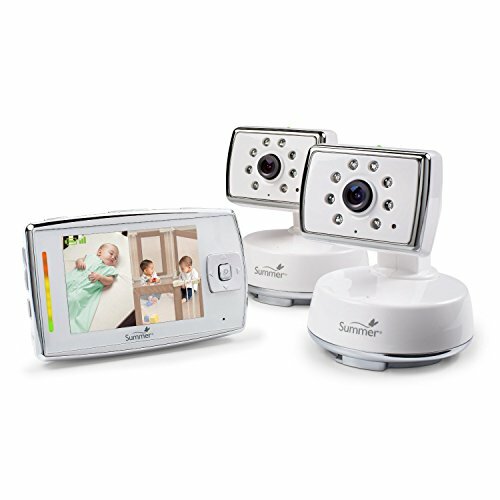 Monitor multiple children or rooms with the Summer Infant Digital Color Video Baby Monitor. Featuring pan/scan cameras with zoom and two-way talk-back, and a large 3.5" color video screen with innovative split-screen technology, parents can view 1-2-3 or 4 rooms at one time on the screen.